After the normal pent up demand to get out fishing on opening weekend, today was back to typical. With Doug back home I got my usual parking spot and par for the course fellow guide Don and his solo customer for the day were backing his boat into the water as I pulled in the parking lot.I would estimate a traditional amount of fisherman and woman on the water Saturday and Sunday. I was surprised at some of the prime campsites vacant, seemed like fewer campers. I'm guessing there were some people disappointed with the fishing opening day some people did well a lot of people struggled. My boat was in the group that had to work hard to come up with some fish. We had walleye for shore lunch and sent the customers home with a few fish but we didn't put together any consistent fish catching pattern. The fishing since opening day has been pretty good but the fish I have found have been spread out over a wide range of depths and cover. 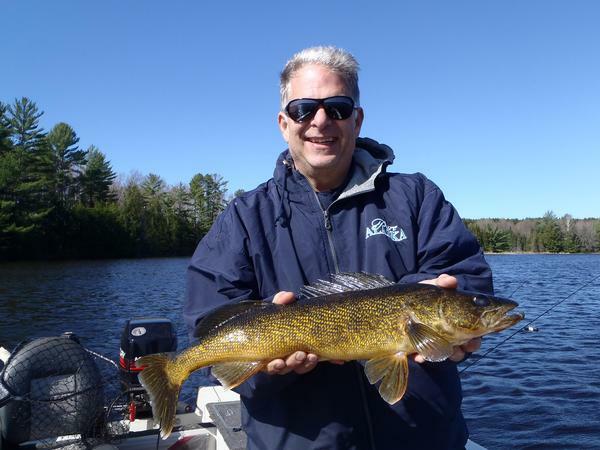 For example my customer Mike and I fished 15 spots to catch 20 walleyes, a lot of the spots were one fish and done. We caught fish on deep rocks in 13-14', logs in a river bed in 16', stumps on a river edge in 10', submerged bog in 12',deep wood in 20', and our best spot a small hump in 7' covered with big stumps. 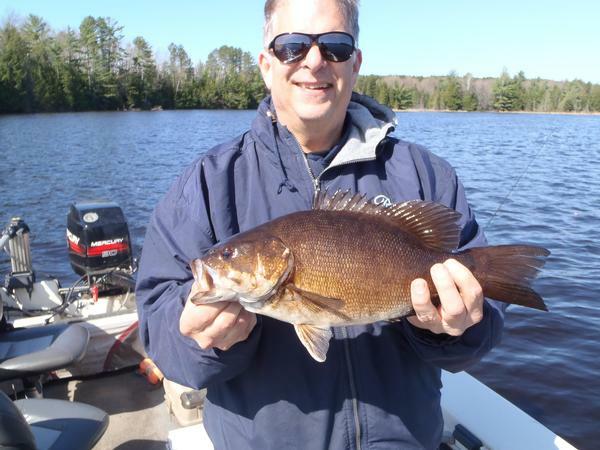 One spot, first cast, Mike caught a 19" we took a picture, Mike decided to release the fish. The fish gods smiled, a few casts later he caught one for the live well. Excited he quickly grabbed another minnow, a crappie minnow, and started casting, I was about to suggest he put a bigger minnow on when he tied into another big fish this one a heavy 24". We got our cameras out again took pictures and released another big fish. 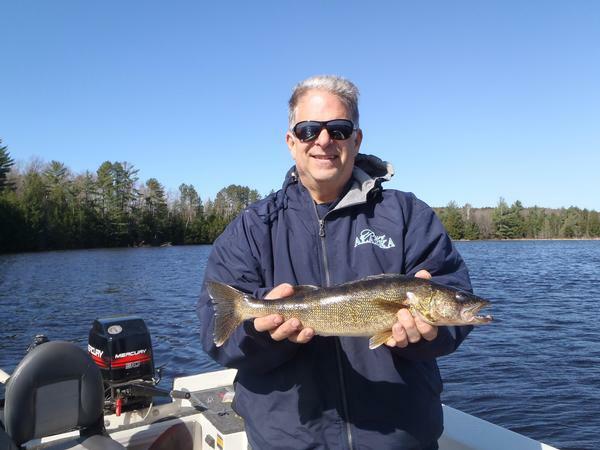 The bigger walleye was a beautiful gold color the way most of the fish looked 30 years ago. It is a pleasure to fish with conservation minded people. Lot of great company in the boat along with all the beautiful weather.